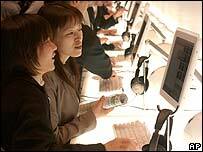 Microsoft has advised Mac users of Internet Explorer (IE) to switch to rival browsers such as Apple's Safari. The advice came as the software giant formally announced the end of IE for Apple Macs. Microsoft initially said it had stopped work on the browser in June 2003. No more security updates will be provided as from the New Year. The browser itself will be removed from Microsoft's Mactopia site and no longer be available for download. The current version of IE for Macs is effectively three years old, making it an outdated browser compared to its Windows equivalent. In June 2003, Microsoft said it had stopped work on developing the browser. It has now put the final nails into the coffin, announcing that it will not provide any further security updates as from the end of the year. The browser itself will be removed from Microsoft Mactopia download site from 31 January. On its website Microsoft recommended that Mac users switch to "more recent web browsing technologies such as Apple's Safari". Other alternative browsers include Firefox and Opera. The only potential problem for Mac users could be with websites designed to work exclusively with IE. In June, web-testing firm SciVisum surveyed 100 UK websites and found that one in 10 of them failed to work properly on the Firefox browser.